Reginald Eaglin Killed in Beaumont Hotel Shooting, December 21, 2018; Was This Tragedy Preventable? Could this fatal Beaumont hotel shooting have been prevented and are justice and compensation available to Mr. Eaglin’s family? 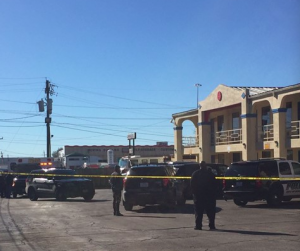 Gunfire erupted outside “America’s Best Value Inn located at 1155 Interstate 10 South” Friday morning, December 21, 2018, according to 12 News. What security measures, such as guarded entry, guest screening, surveillance cameras, and visible security personnel, were in place to deter crime and protect Mr. Eaglin at the time of the shooting? Generally, property owners are required to protect all those legally on the premises from any foreseeable harm. Should the facts of this matter reveal that the hotel owner or management failed to provide adequate security to protect those on its premises, Reginald Eaglin’s family may seek justice and elect to pursue legal claims for their loss. 2 Injured in Portland Motel 6 Shooting; Can Victims Seek Justice, Compensation? Could this senseless shooting have been prevented and are justice and compensation available to the victims? Gunfire erupted following “a party inside a room at the Motel 6 near Southeast Powell Boulevard and 31st Avenue” Saturday morning, September 22, 2018, according to The Oregonian. Police told FOX 12, officers discovered one victim “lying in the parking lot” and a second victim was transported to a nearby hospital by private vehicle. Their identities and current conditions have not been released. 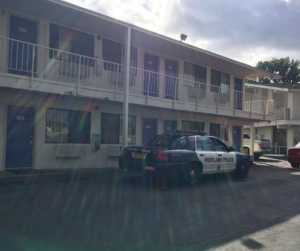 Did negligent security contribute to this senseless Portland motel shooting? We represent individuals and families who have suffered a tragic loss or injury as a consequence of negligent property security. Read Our Legal Take below to find out if the victims may have a legal avenue for justice and claims for substantial compensation in Oregon, or call now for a free consultation with our legal team: 888.842.1616. Motel guests have a right to feel safe and secure while on the premises. The Murray Law Firm questions the level of security provided on the property and whether this shooting may have been prevented. What security measures, such as guest screenings, monitored surveillance cameras, bright parking lot lighting, and visible security patrols, were in place to deter crime and protect guests at the time of the shooting? Generally, property owners are required to protect all those legally on the premises from any foreseeable harm. Should the facts of this matter reveal that the motel owner failed to provide adequate security to protect those on its premises, the victims may seek justice and elect to pursue legal claims for their injuries.